Investment Savings Bank offers savings account loans for customers who would like to borrow for a period. Lending amounts are based on the savings account balance. Speak with one of our lending officers for more details and to find out if a Savings Account loan may be the simple answer you need. Savings Accounts Loans are available to any person 18 years or older to use for personal, family, or household purposes. Use the Savings Account Loan for a one-time expense, such as Home Improvements or Major Purchases (Boat, Automobile, or Appliances). It can also be used for Debt Consolidation, or Vacations. Quick approval and disbursement of funds. Terms you are comfortable with. Consolidate total monthly payment obligations with a Consolidation Loan. No penalty charge if the loan is repaid early. 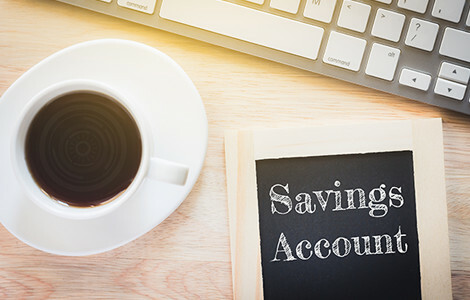 A Savings Account Loan from Investment Savings Bank may be a perfect way to secure the loan you need to cover a one-time expense. Consider applying for a savings account loan when you have home improvements or need to make an unscheduled purchase. With lending flexibility up to $7,500, you can take advantage of a wide range of purchasing power. *The rate may change after the account is opened. Fees could reduce the earnings on the account. ISB has the lending power to provide customers with the lending ability you need today. Our Savings Account Loan is based on the equity in your savings account with us, and can be a wise way to get ahead. Get the lending you need by speaking with one of our banking professionals today. Investment Savings Bank is your lending source for a savings account loan.